A 23-year-old man was killed when his motorcycle collided with a U-Haul van on Pacific Coast Highway in Huntington Beach, a police sergeant said Monday. 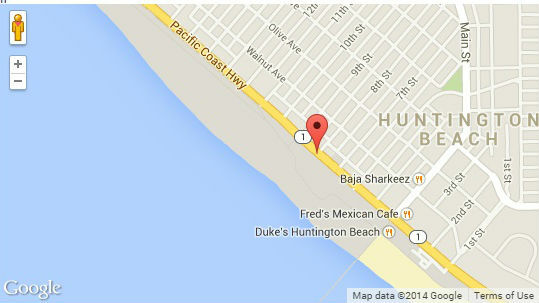 The collision occurred at 8:40 p.m. Sunday at PCH and Eighth Street, said Huntington Beach police Sgt. David Dereszynski. “Arriving officers located a 2008 GMC U-Haul van and a white 2012 Yamaha motorcycle in the intersection. The motorcycle had major damage and the rider, a 23-year-old male from Huntington Beach, was partially lying under the van,” Dereszynski said. The victim was transported to Hoag Hospital Newport Beach, where he was pronounced dead, the traffic sergeant said. He was identified as 23-year-old Devin Santiago of Lakewood, according to the Orange County coroner’s office. A 59-year-old Newport Beach man was driving the U-Haul and remained at the scene to talk with investigators, Dereszynski said. Neither he nor the woman who was riding with him were injured. “Based on the preliminary information, it appears the Yamaha motorcycle was traveling northbound on PCH when it collided with the GMC, which was crossing PCH from Eighth Street,” he said. The Huntington Beach Police Department’s Major Incident Reconstruction Team was continuing the investigation today. “No citations have been issued and no arrests have been made at this time,” Dereszynski said early Monday morning.